The final adaptation of the enduringly popular masterpiece The Hobbit by J.R.R. Tolkien is almost at hand -- and it is not less than epic as its new trailer suggests. The Hobbit: The Battle of the Five Armies may very well be the last movie we'd see of Middle-Earth, so it's only proper that we experience the best out of its 180 minutes of visual and story-telling grandeur. Director Peter Jackson is surely pouring the best of his best with his final The Hobbit movie. He had a lot of help from his team of film makers and actors. The cast and crew are already so huge and numerous in number that it would be a sin to repeat them here... by fault of maybe unintentionally omitting someone. Watch the epic new trailer of The Hobbit: The Battle of the Five Armies. The Hobbit: The Battle of the Five Armies brings to an epic conclusion the adventures of Bilbo Baggins, Thorin Oakenshield and the Company of Dwarves. Having reclaimed their homeland from the Dragon Smaug, the Company has unwittingly unleashed a deadly force into the world. Enraged, Smaug rains his fiery wrath down upon the defenseless men, women and children of Lake-town. 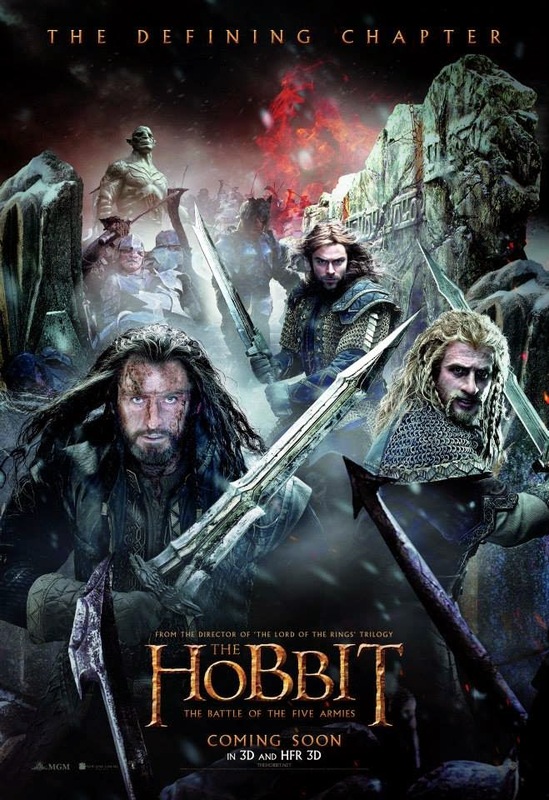 The Hobbit: The Battle of the Five Armies will hit theaters on December 14, 2014.